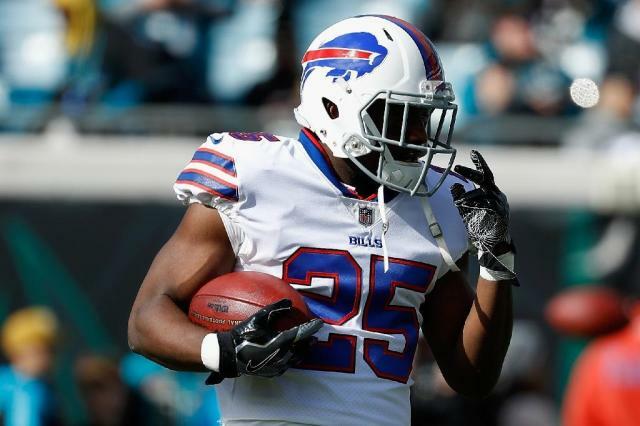 Los Angeles (AFP) - Buffalo Bills running back LeSean McCoy reportedly hired high-powered defense lawyer Donald F. Samuel on Wednesday, a day after denying involvement in an attack on his ex-girlfriend. WSB-TV in Atlanta, Georgia, reported McCoy had hired Samuel, who planned to speak to police investigating the incident and to the attorney of the woman who was injured, Delicia Cordon. Samuel has represented other NFL players, including Ray Lewis of the Baltimore Ravens in his 2000 murder trial and Ben Roethlisberger of the Pittsburgh Steelers when he was accused of sexual assault in 2010. The murder charges against Lewis were dropped and he ended up pleading guilty to obstruction of justice. Police in the Atlanta suburb of Milton, where Cordon lives in a house owned by McCoy, have not named any suspects in the home invasion in which Cordon was allegedly beaten and robbed of jewelry. McCoy quickly denied accusations made against him in a since-deleted Instagram post by an unnamed friend of Cordon, which showed a photo of Cordon's bruised face. "For the record, the totally baseless and offensive claims made against me today on social media are completely false," McCoy said separately on his official Twitter and Instagram accounts on Tuesday. "Furthermore, I have not had any direct contact with any of the people involved in months." Cordon's attorney, Atlanta-based Tanya Mitchell Graham, issued a statement saying her client was hit "in the face with a firearm multiple times" by an assailant who "demanded specific items of jewelry... which Mr McCoy had requested back on many occasions." The Bills said in a statement they were following developments in the case. "We have spoken to LeSean and have been in contact with the National Football League," the team said. "We will continue to gather information."